To provide a bit of background, I read 150 books in 2015. I wrote 52 reviews for 2015 releases on this site. I gave very few books 5/5*. I am currently reading A Little Life by Hanya Yanagihara so since I started it in 2015, I reserve the right to include it in my best of 2015 list. 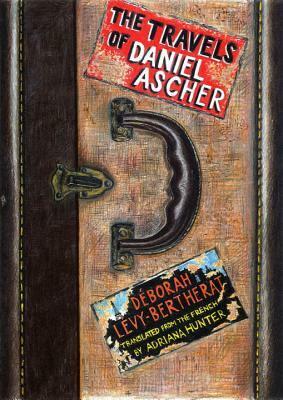 The Travels of Daniel Ascher By Deborah Levy-Bertherat. Touching, creative, lovely novel. It tells the story of a child of the Holocaust in a unique manner. There’s a story within a story. French author Deborah Levy-Bertherat provides splendid descriptions of present day Paris as well as Paris during the Nazi occupation. It’s a wonderful translation by Adriana Hunter. The Travels of Daniel Ascher proves to be mysterious, adventurous and moving. To create novels within a novel demands immense creativity for which Levy-Bertherat possesses plenty. Helene soon decides she needs to learn about the real Daniel not just the swashbuckling traveler who regales the children at holidays with his outlandish tales. Helene never knew that Daniel was adopted and one of the orphans of the Holocaust that her family took in during WWII. As she begins to investigate and discuss Daniel with her aunts she uncovers the truth. She travels to New York to meet his biological aunt. She then speaks with Daniel to discover that while he’s Daniel Roche he’s also Daniel Ascher too. He’s split between two worlds. Saved from great atrocities he lost his parents and sister to the Holocaust. Helene grows closer to her uncle and appreciates him much more. It’s a delightfully-written exquisite novel. FTC Disclosure: I received this book for review from Other Press.